I have to admit to giving up on Mariah Carey sometime in the nineties. Her syrupy love songs got on my nerves, her being signed for a huge amount then dumped by one major company, and consequently being signed again by another left me cold. Rumours about her depression and diva tantrums bored me. Looking back, it wasn't all bad though. In particular, her partnership with David Morales was often inspired. I've lost track of how many songs they worked together on and whilst Fantasy was one of my top favourites (my re-edit is here) together with Dreamlover, I hadn't actually heard Butterfly Reprise before today. Thanks to the great Finest Def Mix blog for that. Morales often had Carey re-sing the vocals of her downtempo stuff in order to remix it at a house tempo. 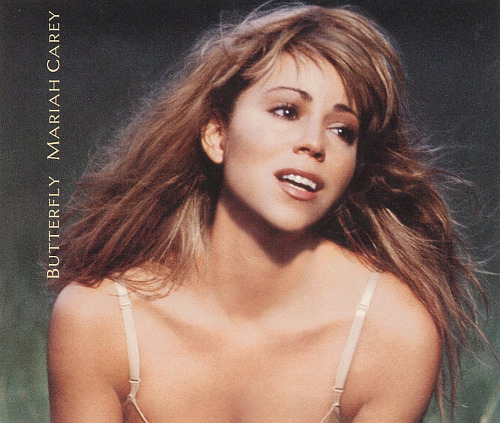 Butterfly Reprise was so far from the original 'Butterfly' that it was even given a slightly different name and it sounds very much like Mariah in the studio improvising over a loop for 30 minutes. There's not much to the 'song', but it's one of those dreamy grooves that - if you get into it - just can't last long enough. Some will say that the chord structure bears more than a passing resemblance to "Stay This Way" by the Brand New Heavies (that you can get here). Others might remark that the song is basically rhyming 'fly' with 'fly' throughout. Whatever. It's kinda sweet. For my Fist fusion I combined the main house mix with part of the Def 'B' Fly mix and the original, giving a version that lasts over 16 minutes. I also repaired a dodgy edit that had been made at around 3'35" (perhaps at the mastering stage to shorten the song a bit?) and left a slight audible hole. And for masochists, the video of the original weepy American housewife version is here with lots of scantily-clad Mariah looking wistfully out of windows at horses. Awful! I had a listen & i love it. Keep up the edits please when you can! Thanks Mark. Pleased you liked it!